Truly an astonishing day for humanity! 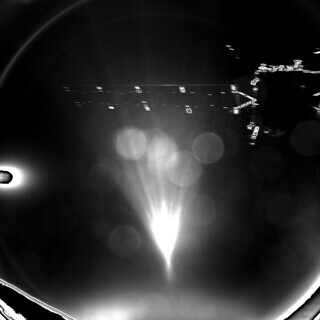 The ESA’s Rosseta mission Deployed it’s lander (Philae) to the surface of Comet 67P (aka Churyumov-Gerasimenko). This mission took 25 years to realise, 10 of which involved Rosetta circling our sun and using the gravitation forces of Earth and Mars to slingshot it’s way into the path of Comet 67P! I recommend the the whole ESA Flickr stream, it is full of beautiful images! If humanity can do this, humanity can do anything. I’m truly proud, inspired, and in awe of the dedication, talent, hard work, and international cooperation that went into this venture. This is only the very beginning, and it is a wonder to behold first hand.